This post showcases 20 cool websites that make use of these full-screen slideshows effects to promote their content. Want more? Check out these awesome websites with video backgrounds! This is a simple website design with a transparent menu design and a large slideshow on the homepage. Studio 8 is a beautiful WordPress theme that you can use to create your next project. It comes with a large, fully editable slider on the homepage. Here you have a professional WordPress theme with a modern fullscreen slideshow, many widgets, and other great features. This is a very creative website design that features a large slider on the homepage, as well as some fun and unique illustrations. Accio is a premium WordPress theme with a one-page design and a gorgeous fullscreen slider with a parallax scrolling effect. Ronneby is a beautiful WordPress template with a fullscreen design, user-friendly layout, and a responsive, large slideshow on the homepage. This is a stunning WordPress theme with a modern design, responsive layout, and a huge slideshow on the homepage. SquareCode is a premium template that you can use to promote and sell digital products. It has a large, fullscreen slideshow on the homepage with a sleek CTA button. This is the presentation website of a hotel which features a fullscreen slideshow on the homepage, containing some beautiful photos of the hotel. This theme uses WooCommerce and has a unique, mobile-friendly design. 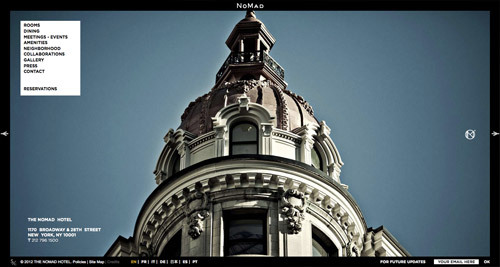 The slideshow supports both videos and images. Uncode is an advanced WordPress theme with a flexible design and a fullscreen slideshow on the homepage, which can be easily customized as per your needs. This premium WordPress template comes with 6 outstanding demo pages and a cool slider feature that can be fullscreen! 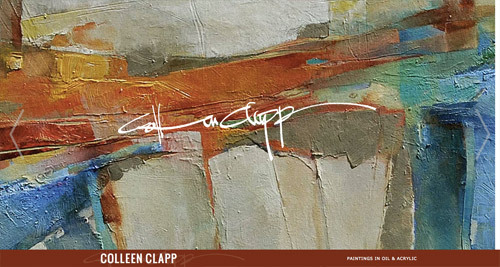 This is a simple, art-focused website design with a full-screen slideshow on the homepage, showcasing some beautiful works of art. Green Rescues is a great WordPress theme that comes with Revolution Slider, among other great plugins, which can help you create beautiful, full-screen slideshows. Green Farm is a WordPress template that can be perfect for websites that promote healthy, organic products. Take advantage of its fullscreen slider to showcase your products. This inspiring website design has a unique navigation for its fullscreen homepage slideshow. Tee Up is a stylish WordPress template packed with the great Revolution Slider plugin which helps you create awesome fullscreen slideshows in no time! Eco World is another great theme that features a fullscreen slider on the homepage. It overlays some bold, colored texts on top to deliver the message. Check out this amazing WordPress template that can be used to build professional multipurpose sites. It comes with the option of adding a cool, fullscreen slideshow on the homepage. Here is a great WordPress theme with a fully responsive layout and a great homepage slider that can be fullscreen! Thanks for the post. A great collection of the full screen slide show web presences. Nice job. hi iggy, your article about fullsceen slideshows website collecation is so inspairational for me and it makes me interested to use this sl ideshows more in my future projects, thanks. Blind Barber is one of my all time favourite designs, so simple yet effective. It&apos;s great to see it included here. Nice one sir, it is really provide me the innovative way of design to implementing. Simply the best post I found out on the web about this subject. Awesome collection that you have share here. It’s really inspiring! I think this kind of slideshows cab be useful to make portfolio site or for representing new launch products or services. I feel so happy by seeing this collection. We love full screen slideshow sites but they are only practical for those companies that are visual in nature. Landscapers, architects, and any industry that is visual based would benefit greatly but I&apos;m not sure that other businesses would benefit as much. 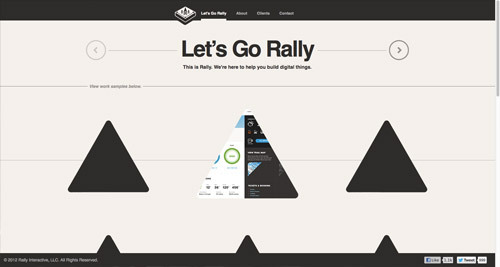 Great examples of websites using full screen jquery slideshows!! My website inside the comment uses big photo and it is one page. Please consider for next time. Fantastic collection on the full screen slideshow website. It is amazing that a nice big image can totally transform into a nice looking website, however I believe it it best to keep it these types of web designs to minimal content being display unless you can use something like 30% opacity so the user can see the background image as well as the content. Advantage of such slideshows is that it looks great on every screen size, but performance can be a little low due to large images that have to be downloaded. thanks for sharing the cool site-examples. I got a question, do you ask the site-owners when you use their screendesigns as screenshots. Is it definately legal to use these pictures under copyright? Of course there would be a huge problem worldwide, cos we got these best-of-lists all over the place. But this does not mean that it is legal to do so. Waht do you think? Who has experience, may Chris or ANY other blogger use any picture (even with link deeplink to the "creator") in an own context? Amazing work Chris such a nice collection of designs.. I think slideshows must be a better choice for portfolio..
Nice collection Chris. How would these full screen slideshow work on tablets and mobile devices? I know all about responsive design but would it look as good? 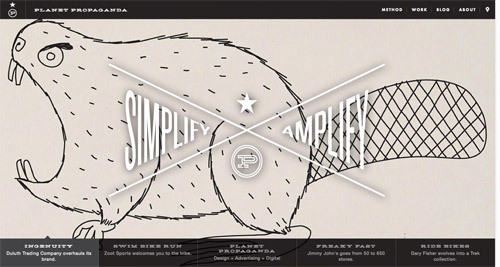 Amazing slideshow…great collection cool websites..
There&apos;s some great layouts here. Slideshows are a good choice for portfolio style sites, or any which are graphic-heavy. I think the Full Screen Slideshows is very suitable to demonstrate product.